AN ADDRESS DELIVERED BY THE EXECUTIVE CHAIRMAN OF OJOKORO LOCAL COUNCIL DEVELOPMENT AREA HON. 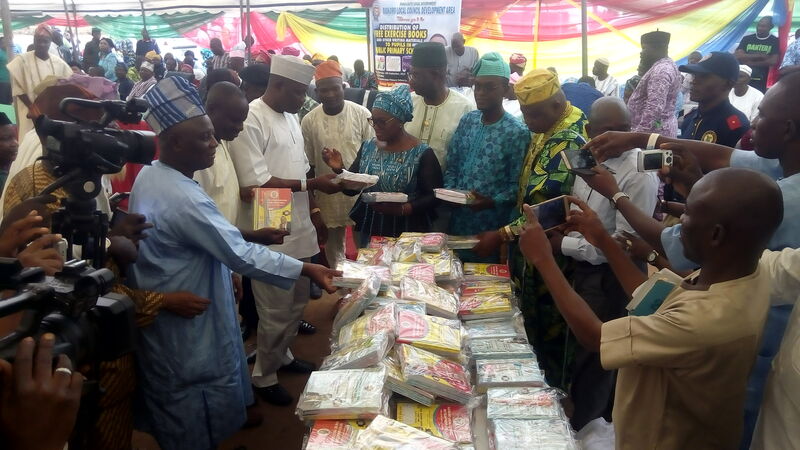 HAMMED IDOWU D TIJANI (HID) ON THE OCCASION OF DISTRIBUTION OF FREE EXERCISE BOOK AND OTHER WRITING MATERIALS TO PUPILS. It gives me a great pleasure to be here today as we gather to appreciate and contribute our quota to the development of education within our locality. Allow me to give all praises to God who kept us alive till date and also had not given us any reason to mourn over these little giants who went on holiday and just resumed a new academic year. If you may recall, provision of quality and affordable education is one of the programmes promised by this administration, as contained in our manifesto during our electioneering campaign. Therefore, today’s programme is just a fulfillment of one of our promises, as we have vowed to implement all the programmes in our manifesto in order to justify the confidence reposed in us by the good people of Ojokoro. Thus, this administration deem it fit to encourage and assist pupils of Ojokoro Local Council to attain greater heights and break even towards a successful future and that is why we are doling out free exercise books and other writing materials to facilitate fast learning process and assimilation. 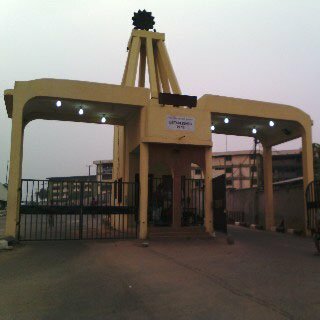 Permit me to state here that the Lagos State government, under the able leadership of our visionary and pace-setting governor, His Excellency, Mr. Akinwunmi Ambode has made a significant achievement in the area of educational development of children and youths in the state. 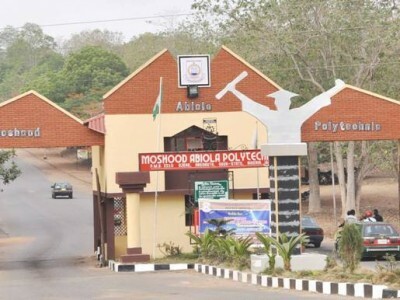 Some of these achievements include procurement of chairs, desks and necessary teaching aids for public schools in the state, reconstruction and renovation of dilapidated structures in some public schools as well as recruitment of 1,300 primary school teachers, while 18 public secondary schools were also equipped with state of the art libraries across the education districts in the state. 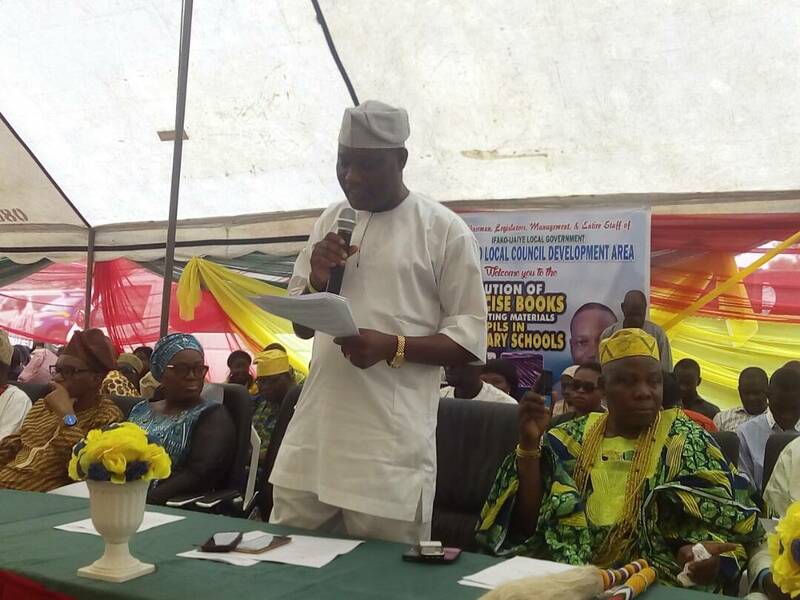 Therefore, the distribution of free writing materials to pupils in public primary schools in our LCDA today; is to complement the effort of the state government and also assist parents in giving their children qualitative education without much sweat. Our educational empowerment is not just donation of books and writing materials, we have already and are still meeting with several agencies and NGOs for partnership so as to do more for our wards and we are already getting positive fillers. Other areas of our social contract to the constituents will also be implemented ranging from environment, health, road rehabilitations, youth empowerment to mention but few. My dear pupils, the best gift for the children at this level is knowledge and that they are being given, so you have to understand that you need to be diligent, attentive, and be interactive in class so as to learn fast, always remember that without pain there is no gain and testimonies of success. I want you to face your studies very well, do your class work and home work always and pass both test and examinations in flying colours. I want to assure you all that, this administration would continue to complement the unprecedented developmental stride of our proactive governor, Mr. Akinwunmi Ambode who in a very short time has made a very big difference. Sir you are indeed God sent to this generation and we say a very big thank you for the support we at Ojokoro LCDA are getting from the government and we shall continue to extend the dividends of democracy to all and sundry within the LCDA. Once again I wish you a successful academic year. excellent points altogether, you just received a logo new reader. What could you suggest in regards to your publish that you simply made some days ago? Any certain? Wow, amazing blog layout! How long have you ever been running a blog for? you made blogging glance easy. The overall look of your web site is fantastic, as well as the content! Thanks for any other informative blog. Where else may I am getting that type of info written in such a perfect approach? I’ve a undertaking that I am simply now working on, and I’ve been at the look out for such information.